This is my first public income report online. 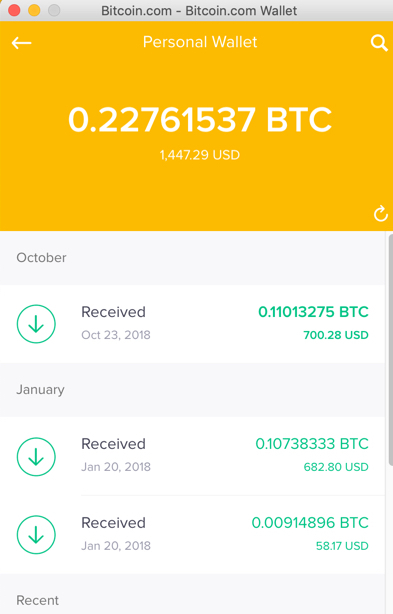 Earlier, i shared few of the income screenshots and my story in my About section, but today i will try to elaborate and go more in depth into each one. I am a digital marketer with 7+ years of experience. 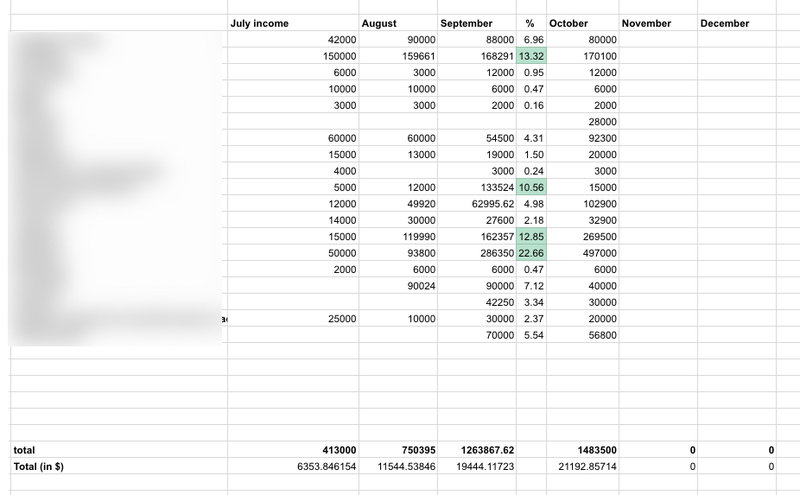 October has been the most profitable month for me up-till now. My SEO efforts are giving good returns as my affiliate website traffic has significantly increased over time. The above screenshot is for my biggest affiliate site. In total i made approximately 14Lacs of revenue from my affiliate site. Although i cant go into details of each affiliate network and how i increase my income through each of them, but i will take few of the biggest earners. The image below is one of my affiliate network which made me $2,353 from 7,046 uniques visitors in the month of September. All these visitors were driven from one of my ranked article. 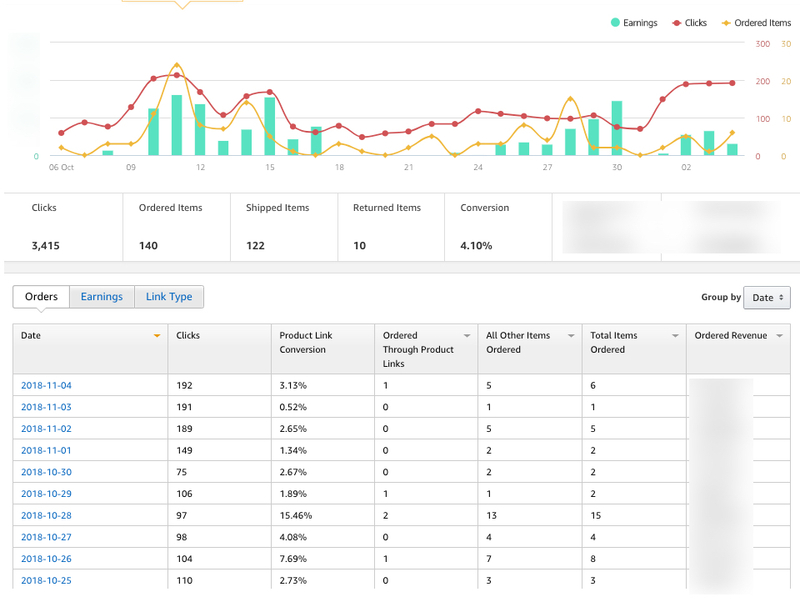 This is why i am a strong proponent of CRO as that alone can drastically increase your income from same amount of traffic. I made lesser in september, its just that i decided to check all my ranked articles and started thinking of digital products (ebooks, services) etc that i can offer in them. 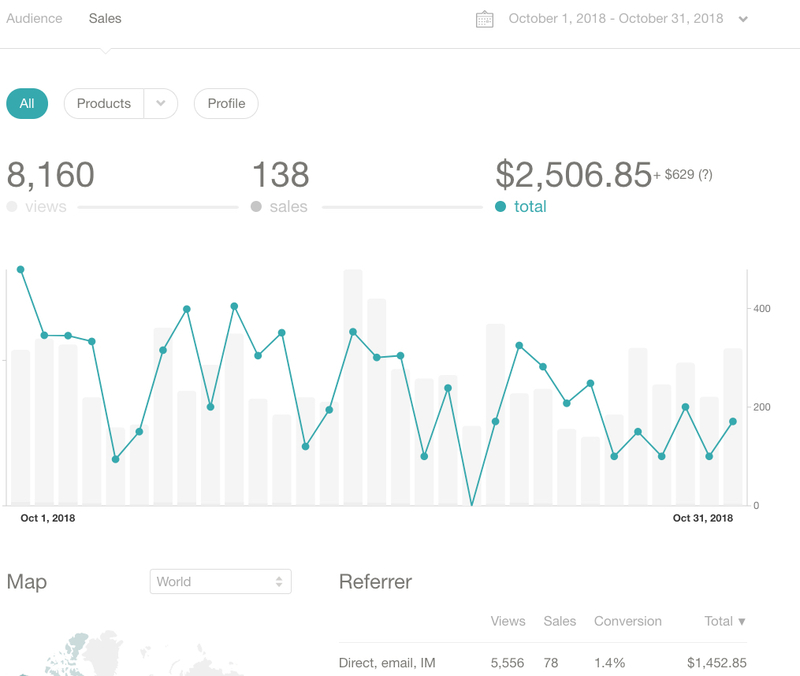 I made different digital products for each of the ranked article and this alone doubled my Gumroad income. This is why relevance of audience to your product is extremely important. This was a surprise for me in the last two months. I used to get request for sponsored reviews (product review, website review) for like once in 6 months but since my traffic has increased significantly i am getting frequent sponsored review requests. In september i made Rs 1,33,524 from sponsored reviews, in October i finalized a few more deals (close to Rs 50K) whose payments will arrive in November. My biggest earner this month (Rs 4,97,000) was from an affiliate network that i have just started using from last few months. I did not even know that it existed and now it contributes the biggest amount in my overall revenue. I came to know about this network from one of my Facebook group member who was making significant monthly income. This is the power of community and sharing the knowledge among each other. This network pays close to $175/lead (close to Rs 12,250). I know it's massive. I am still trying to optimize my site around this network so that i can get more conversions. The above image has my stats for the first 15 days of october. One of the network pays only in bitcoin. Naturally when you are running multiple websites you have a lot of expenses as well. Of this 14 lacs revenue, i will be spending a big chunk in reinvesting the money back into the websites to grow them even further. Content/Articles for various sites: Approximately 5,00,000. This month i spent a lot of money in getting content for my various affiliate site. I spent close to 5 lacs on content alone. I have various content writing agencies working for me, i also have a team of content managers and proofreaders to check the quality of articles. Virtual Assistants: Approx. 1 Lac . I have a team of 8-10 virtual assistants who help me in running my various affiliate sites. Their work could be SEO, Article Addition to site, Finding images, etc etc. I always have had this tendency of setting targets for myself. Earlier this year, i had set the target for myself to reach Rs 10Lacs/month by December 2018, i am glad that i achieved this target few months earlier. Now my next target is to reach Rs 50Lacs/month by December 2019. So how am i going to achieve this new target or what is my planning for that? The affiliate site shown above is driving almost 1 million visitors/month. I will be spending a lot of money on content and SEO of this site for next few months and will try to get the traffic to atleast 3 million visitors/month. At that mark alone i will be generating close to approx. 30 lacs/month. I am also significantly investing in an Amazon Associate site. The content is already done now, only the SEO work remains. That website is making me only Rs 10,000/month as of now with 5,000 visitors/month. The target is to increase the traffic to atleast 600,000 visitors/month. I know its a lot for a brand new site, but i know the competition is extremely low in the country i am targeting. If i achieve this mark then i will easily be generating 20-25 Lacs/month from this site. I will be opening a Youtube channel and will also be significantly investing in personal branding (primarily through this site ankuraggarwal.in). I have been doing digital marketing for over 7 years now and its time to share my knowledge with the Indian audience. By giving this free knowledge to everyone i will get consulting leads which in turn will bring additional revenue for me. I hope i was able to motivate you through this article. I have a free digital marketing video course, where i teach you step-by-step the fundamentals of digital marketing.